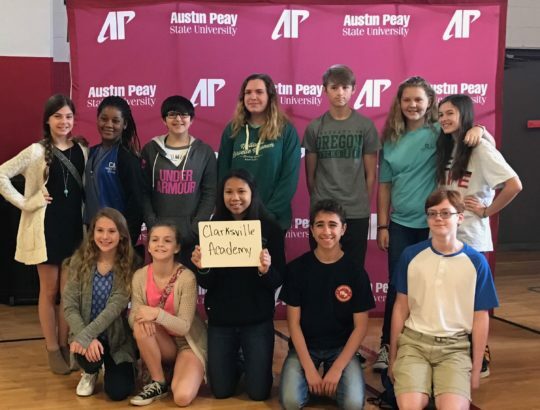 The Intermediate School Math Team participated in the Math Contest at APSU last week. All students performed well. We are proud of each student for taking the extra time to prepare for the team. Team members are: 8th grade-Zack Austin, Madison Harris and Luke Page, 7th grade—Adianna Cervantes, Caroline Johnston, Finn Shea, Annalynn Rakett, and Hadley Wilson, 6th grade—Zoe Drake, Chloe Gilland, Avery Janssen, and Trinity Wilson. Top performers in their grade were: Zoe Drake, Annalynn Rakett, and Luke Page. Congratulations to all these students! Follow along on the Washington D.C. trip, through our new blog! Daily updates regarding the trip will be posted each evening. Check back often! This is a fantastic trip for our 7th & 8th grade students and we hope you will read about their adventures! 8th Grade Wax Museum will be held on May 18th from 1:30-2:45 in the main gym. Below is the IS Exam Schedule. **Students do not need to come to school at a day or time when they do not have an exam. A study hall is provided for students who have to arrive early or stay after an exam. All students will be dismissed at 11:15. There is no mid-day van service during exams. No lunch is served.